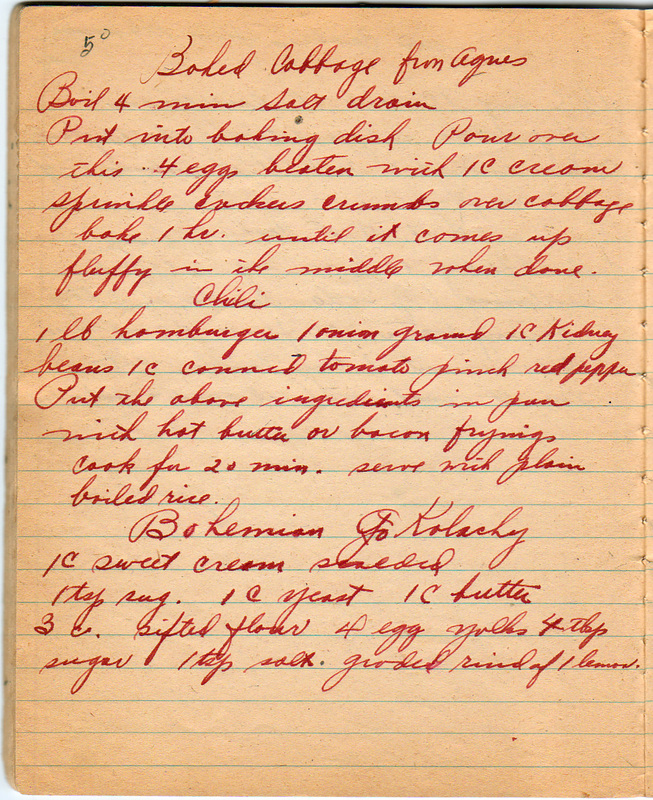 This recipe is from the 33rd page of the notebook; here’s the page in full (click to enlarge). Boil 4 minutes; salt, drain. Put into baking dish. Pour over this 4 eggs beaten with 1 c. cream. Sprinkle cracker crumbs over cabbage. Bake 1 hour until it comes up fluffy in the middle when done. As usual, don’t seal with paraffin.